Old Brodleians travel to Settle on Saturday to take on North Ribblesdale (2.15pm) looking strengthen their top-six aspirations. 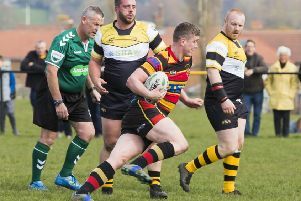 Their hosts are traditionally a tough team to crack on their own ground and their record this season shows that they have registered four home wins out of five, the one loss coming against Bridlington back in November and they have secured home wins against Crossleyans, Heath, Bradford Salem and most recently Scarborough. The Settle club currently sit ninth in the table on 27 points. Brods’ sit fifth after convincing victories over Bridlington, York and Heath and are full of confidence heading into the new year. Both sides may be a little rusty having missed out on fixtures over the festive period and will be hoping that the recent spate of postponements does not continue . The 2ndXV entertain Wharfedale (2.15pm) and the Beavers will travel to Ovenden Park to play Halifax Dukes (2.15pm).